Do you know what your roof components are? So maybe you’re renting a house, or maybe you’re a new homeowner: you’re an expert in everything from lawnmowing to throw pillows. But do you know anything about the roof over your head? Beyond the shingles and gutters, can you identify, or even name the components of a roof? Let’s walk through the basic parts and sections that make up the average roof. Obviously, the shape and materials can vary, but knowing the general layout and terminology can come in handy if you need to fix or even call in a professional to fix your roof. If you’re dealing with winter conditions, consider Winnipeg roof snow removal. Decking, or sheathing, is usually made of plywood that closes and reinforces the roof structure and serves as a nailbed for the shingles. Underlayment, or underlay membrane is a coating that protects the decking from bad weather, and separates the shingles or tiles from the decking, which prevents seeping of any resin. It can be made of asphalt saturated felt, or synthetic fabric. Gutters are a channel that collects and carries rainwater. Depending where the gutter is, it can also be called the eaves gutter, or eavestrough as we most commonly say, but there are also valley and parapet gutters. Eaves membrane is a protective layer, typically of bitumen and polyester, that is applied under shingles to prevents water from seeping. It’s usually resistant to weather fluctuation, and resists freezing, so it’s an essential for any Winnipeg home. Edge is the bordering end of the roof or eaves. It’s also known as a fascia. Drip edge is a moulding, typically aluminum, that covers the edges of the roof. It helps to prevent water from seeping through by ensuring water runoff drains into the eaves, not behind them. Ridge is the horizontal line at the top where all sides of the roof meet. Valley is the vertical line, or V-shaped angle where two slopes of the roof meet. Roof vents, typically metal or plastic, are openings that ventilate the attic. Flashing, or joint covers, is moulding that waterproofs openings in the roof. Usually made of steel, aluminum, or plastic, flashing can be rigid or flexible. It’s used in the valleys, and around vents or chimneys. Shingles are the actual tiles used to cover a roof. They can be made of a variety of materials, ranging from basic asphalt to wood, metal, or slate. 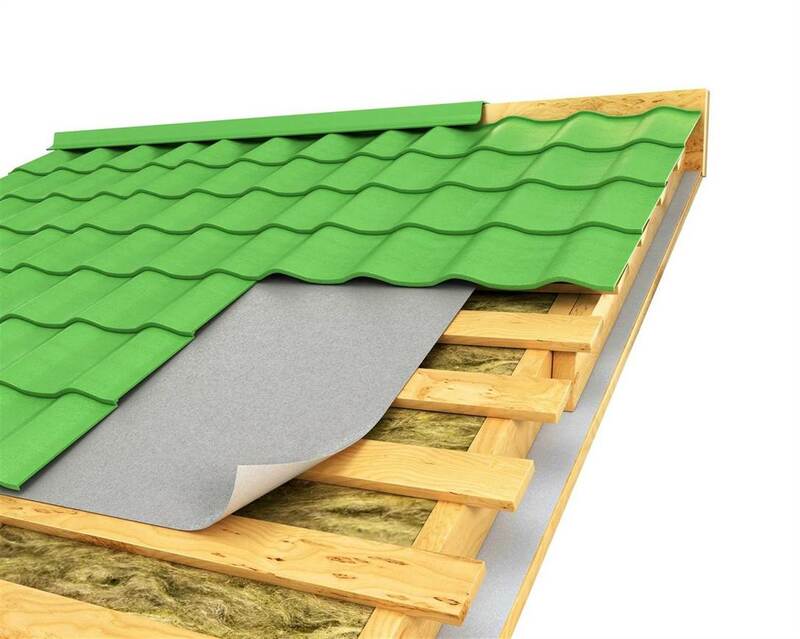 The type of shingle used is very important, especially in extreme weather areas where ice and snow are guaranteed. So now you have a basic understanding of what makes up a roof! Obviously, there are tons of other parts and processes involved in roofing. Every roof can be different, and the shape and age of a house may mean that some have sections that others just don’t. It’s important to consult an expert before poking around with your roof, especially when bad weather can make it an urgent project. But hopefully, with a bit of basic know-how, you can now follow along with the professionals suggest, and keep up to date on what they’re doing to fix the problem.